When your physician suggests the need for medical imaging, you deserve the best and should make your appointment with MRI of Charleston. All of our imaging procedures use advanced imaging technology for unrivaled diagnostic image quality. Our team of imaging professionals, including highly trained physicians and technologists, will perform and interpret all imaging procedures with the utmost precision. In today’s busy world, we also understand the importance of convenience AND affordability. MRI of Charleston provides an optimal care experience with high-quality imaging services at affordable prices. Call 843-737-8137 to learn more or request an appointment online! Question: What is an MRI and what does it show? Answer: Magnetic resonance imaging (MRI) is a method used by physicians to look inside the body. Incorporating an advanced technology, MRI produces images of the anatomy without the use of radiation, as in X-ray and CT scans. 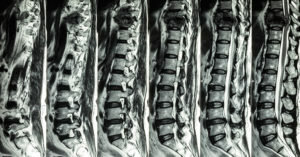 MRI images are formed by computer processing signals emitted by body tissue. These signals are generated using a safe magnetic field in combination with radio waves of a specific frequency, similar to what is used in home and car radios. Question: How is a MRI scan different from a CT scan or other imaging services? Answer: MRI scans create images with the combination of a magnetic field, radio waves and a specialized computer, and does not use radiation as a CT or X-ray machine would. Question: How long does an MRI take? Answer: MRI procedures can take 30 minutes or more, depending upon the area being scanned. Question: Why do I have to remove metallic objects before a MRI scan? Answer: Due to the magnetic field of the MRI unit, it is extremely important that you remove all metal objects. Some of the problems that can occur are demagnetizing of credit cards and reprogramming pacemakers. Not sure if your implantable devices (pacemaker, piercing, metal rods) count? © 2019 MRI of Charleston. All Rights Reserved.